Themes of the duality between machine and man are at the heart of the Iron Hands, and David Guymer uses a world of the Adeptus Mechanicus that has fallen into heresy as the catalyst for exploring that fascinating battle for the soul of the Chapter. Finished the Eye of Medusa last night. One of the truly best Iron Hands reads in a long time. The novel -seriously- fleshes out the Iron Hands and is very much able to give them character unlike many past novels that just makes them seem like dull automatons. I daresay that the novel is so important to the understanding of the Iron Hands that it should be a truly core novel for them, in the same way Dante managed it for the Blood Angels, and that is high praise. Plus I find its quite respectful of past IH works, threading to it or foreshadowing it. You will be able to recognize quite a lot of names. The novel itself is the set in the early parts of M40 and involving the beginning of the Kristoffian scism within the Iron Hands and the rise of Kardan Stronos, having just transfered clans as a sergeant. Theres clearly more books comming in this series, and if he can keep up this quality, ill nab them instantly. Overall I rate the book as 8.5, and it was a real page turner, I read it in one sitting. Very hard to put down. Id have given it 9.0, but the last third of the book felt a little muddled. Could probably have benefitted from an additional hundred pages. But eh, its just a slight problem, its still a -VERY- good read and a suprise hit to me. David Guymer has really nailed the Iron Hands and shows he have researched them properly. Sounds damn good, i'll be grabbing my copy next Saturday once it's in stores. Heres a teaser to garner a bit more interest in the book. The Iron Hands have an entirely new unit, The Helfathers, whom are the guardians of the Iron Council. Extremely ancient terminators, heavilly bulked out with augmetics and capable of wielding an Assault Cannon, Heavy Flamer and Cyclone Missile Launcher all at once. A group of very ominous and sinister creatures. So the 40k Iron Hands clearly still possesses the Keys of Hel, the technology of Cybernetic Ressurection. Long dead IHs guarding the Iron Council. Anyone read this yet? Havent heard a peep for quite a while. It's on my list but i'm trying to make the 40k stuff I have last, so it'll be two or three books later before I start this one. Finished this last night and i'll post a review soon, but I wanted to weigh in on this part. Heavy spoilers below! I don't think the Helfathers are made with the Keys of Hel, if they were there would have been a dead and dessicated Iron Hand in the armour. I think they are A.I. like the Dreadnought in Iron Soul, robots that Kristos has created to enforce his will and do his dirty work. And, though this is a guess, if the Iron Council doesn't do things his way, he knows exactly where the Helfathers will stand and what they'll do if he tells them to. Phenomenal book, really fleshed the Iron Hands out in a way they deserved. Good to see your words on it, this book really needs more attention. 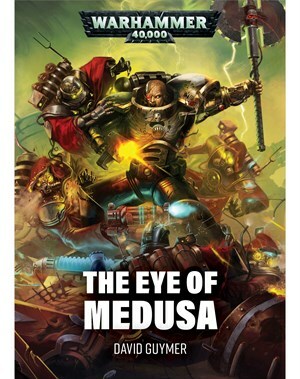 Kind of been overlooked with all the focus on Dark Imperium. I am looking forward to see your detailed review when you get to it.